Katie is a Senior Holistic HR Adviser in the Employment Team. She helps deliver our Holistic HR service which is a fixed fee unlimited employment law and HR advice service. This acts as an outsourced HR department for smaller companies, and gives added support to larger ones. 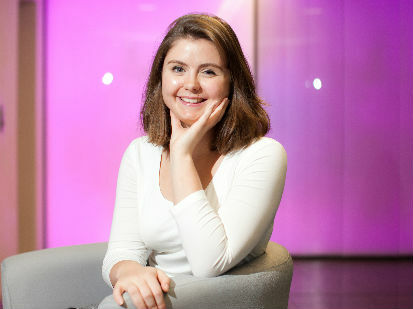 Katie has a First Class Honours Law and History degree from Glasgow University. Having specialised in Employment, Anti-Discrimination and Social Welfare Law. Katie is additionally an Associate member of the Chartered Institute of Professional Development after gaining her HR qualification last year. Prior to joining MBM Commercial Katie worked at IntoWork, a charity specialising in helping people with disabilities to find and retain employment. Katie has also completed a Saltire Scholarship internship in the HR team at GE Oil and Gas, Aberdeen, and been an adviser to members of the public at Citizen’s Advice Direct. Alongside work, Katie is a board member at the charity Partners in Advocacy where she uses her HR and Employment Law knowledge in an advisory capacity. Katie enjoys travelling (anywhere sunny! ), spending time with family and friends, and campaigning to help Syrian refugees. To read more about her volunteering please follow this link.